There are a number of Fan Run Servers that use MOULa based open source servers. Each has a different purpose and style. To play on one of these Fan Run Servers, you will need to link to their site and follow their instructions on how to create an account and play. Here is a short list of the more popular ones. 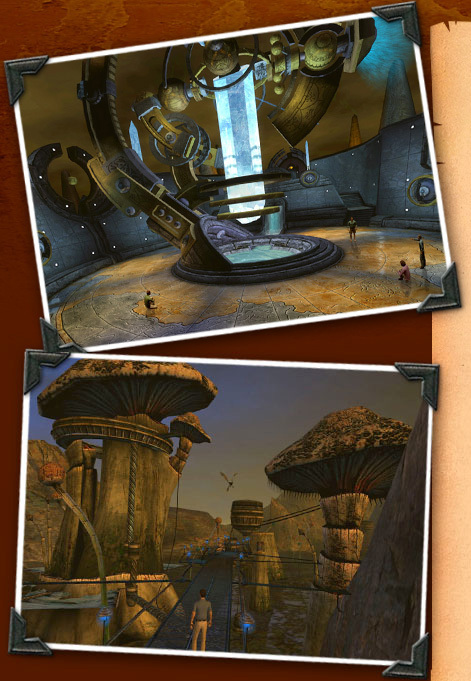 OpenUru.org's Minkata Shard allows fans to test new features and fixes from the open source development community before they are accepted into Cyan Worlds' official Myst Online: Uru Live again (MOULa) servers. Guild of Writers' Gehn Shard showcases the latest work done by artists and programmers at the Guild of Writers. There is also a list of MOULa based Fan Run Servers on the forum. Support: If you need support at one of the Fan Run Servers, please contact the administrator for that site. If you would like to notify Cyan Worlds about one of the fan run servers, please contact us by visiting http://support.cyanworlds.com.